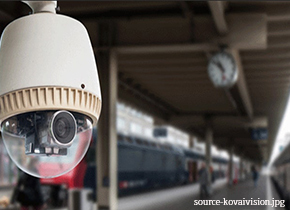 Based on the report of high-level committee, in consultation with the Zonal Railways, 202 stations have been recognized for installation of an Integrated Security System (ISS) to strengthen surveillance mechanism at the stations. The ISS includes of CCTV Cameras, Access Control, Personal & Baggage Screening System and Bomb Detection & Disposal System. 102 stations have already been provided with CCTV surveillance system under ISS. In addition, 151 Baggage Scanners, 32 Under Vehicle Scanning System (UVSS) and 88 Bomb Detection & Disposal items have also been installed in these stations. Zonal Railways have been directed to install ISS at all the sensitive stations.